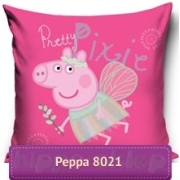 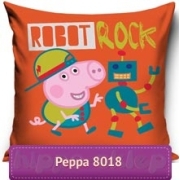 Bedding Peppa Pig for young girls with Peppa character from tv kids animated series about adventures of little Pig family Mum, Dad and her brother George. 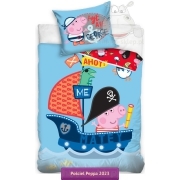 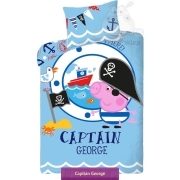 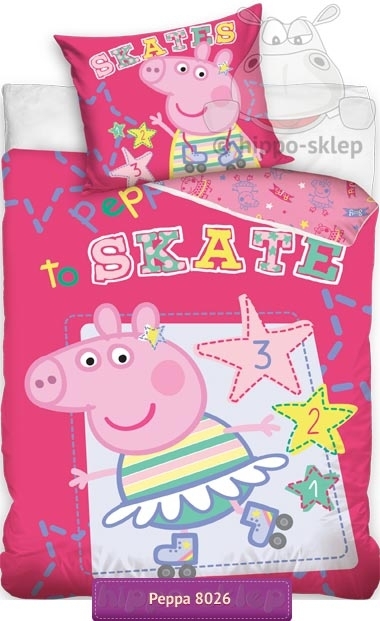 Kids bedding in pink colors with Peppa Pig riding on skate, duvet cover size 140x200 @160×200@ and also 135x200 or 150x200 cm depending on selected option and one pillowcase 70x80 cm. 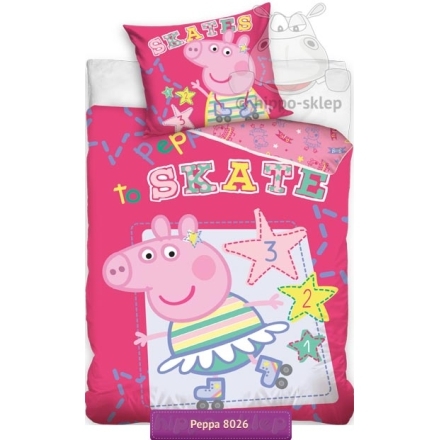 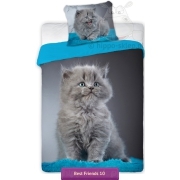 Kids bedding with Peppa Pig, closing with zip, made of 100% cotton, certified according to Oeko-Tex 100.